Although Slack is not (yet) included in the Web Globalization Report Card, I wanted to point out something that I hope Slack fixes before it gets too far along on its global journey. Shown below, Slack locates its global gateway in the footer of its website, which is a poor place to locate it. But the bigger issue are those flags. Flags in global gateways are never a good idea. 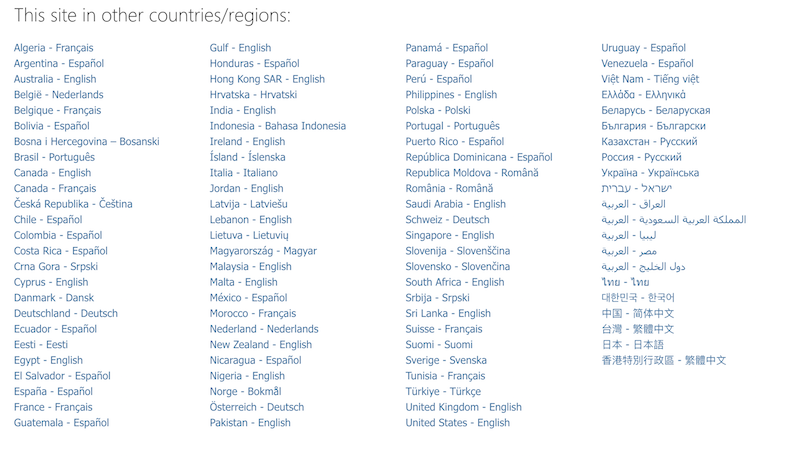 And, in this case, placing a flag next to a language name effectively restricts the reach of that language. For instance, should a Spanish speaker in Argentina feel comfortable clicking on the Español link? Perhaps this degree of restriction is by design. China compliance is one reason (of many) why flags can be problematic. Something I will be writing about in the next edition of the Report Card. Forget it, Jake. It’s China.